3 winners will win over $600 (retail value) of prizes! Thanks to all the wonderful bloggers that help promote these contests! Please visit and follow them so we all can have great contests for our followers! ►Live Well Series and Jeff Gold Music – Sleep Well For Kids – The Original. You can also listen for free if you have Prime HERE. Contest is open to US residents only,18+ (ends February 28, 2016 at 11:59pm EST). All entries unless otherwise noted are optional. Please enter the giveaway form below. The winner will be emailed and have 48 hours to respond or a new winner will be chosen. Good luck! Attention bloggers: This is a free/paid blogger event hosted by Deliciously Savvy and Sponsored by IONutrition. Link is free when you promote the giveaway on your blog and a thank-you for participating in the event. Sign-ups close February 2, 2016. Watch the clip below showing a compilation of cute cats and dogs playing with babies. Which one is your favorite? Chinese New Year is quickly approaching and no fine meal is complete without fine wines. Pondview Estate Winery, located in Niagara-on-the-Lake, offers a couple of great wine and meal-pairing options below. Award-winning icewines are an ideal complement to the Reunion Dinner. NIAGARA-ON-THE-LAKE, Ont. — Renowned for raucous celebrations complete with fireworks and elaborate parties featuring dragons that are fitting the welcoming of a new year, the Chinese New Year is also a time of great feasts. Visit www.pondviewwinery.com for more information, Like PondView on Facebook, follow it on Twitter @pondviewwinery and share your photos on Instagram. 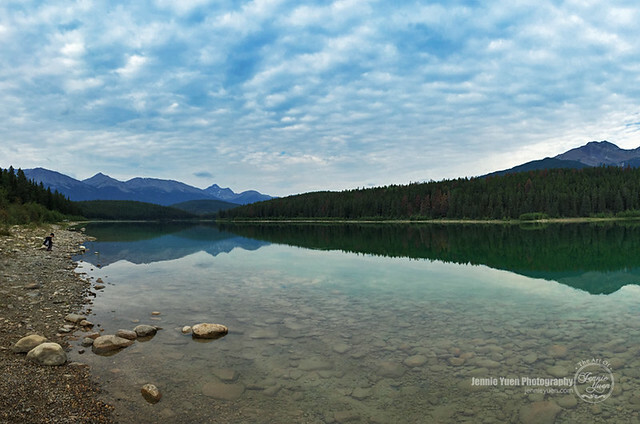 It was a spectacular view here at Patricia Lake during our visit in Jasper. 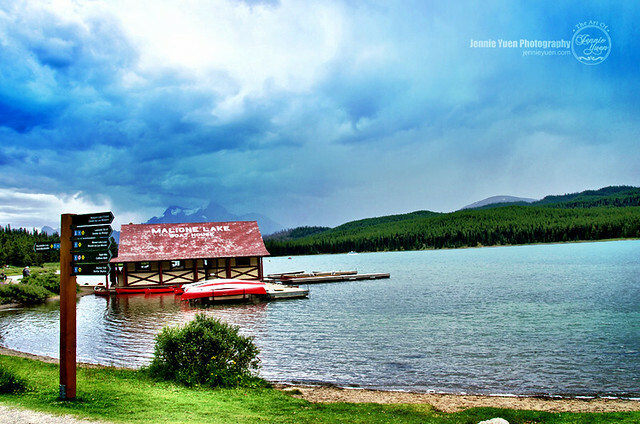 Patricia Lake is located in Jasper National Park in Alberta, Canada near the town of Jasper. It was named after Princess Patricia of Connaught, the grandaughter of Queen Victoria. Did you know that Lovable Labels has a fundraising program? Schools and organizations can earn funds wile reducing the lost and found pile. Fundraising with Lovable Labels is FREE and simple! Everyone wants to be sure they hold onto their stuff. With products useful for people of all ages, the Lovable Labels Fundraising Program is perfect for child care centres, schools, dance teams, long-term care facilities, Scouts, and more. Welcome to DREAMERS universe: you are invited to experience this Brooklyn-birthed band’s iridescent grunge-pop sound that will attack your senses and take you on an emotional odyssey of nostalgia and wonder. They first launched their infectious tracks into the world with their independently released self-titled debut EP, with their breakout single "Wolves (You Got Me)" quickly landing in rotation on Sirius XM's Alt Nation. DREAMERS recently released a new single "Shooting Shadows" via Fairfax Recordings -- a brilliantly burning anthem of love, hate and brooding malcontent boiling over into a hot mess, exclusively on THE FADER. And now, the band is bringing their electric live show (which saw them open for the likes of Young Rising Sons and Atlas Genius) back on the road for an extensive tour with Arkells and Brazilian Girls. Maligne Lake is located in Jasper National Park within the Rocky Mountains. This photograph was taken back in mid-August 2015 during our road trip from Vancouver, BC to Alberta. It was our very first visit here and the view is supposedly amazing, but when we arrived, it became cloudy and windy all of a sudden. I only took a few snapshots and then left as we didn't want to stay too long and get ill from the weather. Attention bloggers: This is a free/paid blogger event hosted by Your Strong Tower and Lil' Blog and More. The event will be a movie theme, celebrating some of the awesome new movies coming out! Link is free when you promote the giveaway on your blog and a thank-you for participating in the event. Sign-ups close Jan. 28, 2016. * Prizes: The giveaway will have 2 winners: a $25 AMC gift card to the first winner, and a $15 gift card to the second winner. Option 2: only 1 free link (Facebook or Twitter) without announcement. * Co-host (Paid Option): Signing up as a co-host will get you up to 7 links! You get your free option #1 or #2, PLUS 5 additional links of your choosing (excluding Google+)! The cost to be a co-host is $6. In addition, you get your blog link on the giveaway posts. Your links will also be listed in a separate part of the giveaway form, and entrants will receive (3) entries for each of the options they do for you, rather then 1. Dailies are allowed as well, but entrants will be given only 1 entry, per day. You are also able to choose one of your entries, to gather 10 entries, for completing. Please just specify in the form, which entry you would like entrants to gain 10 entries for. 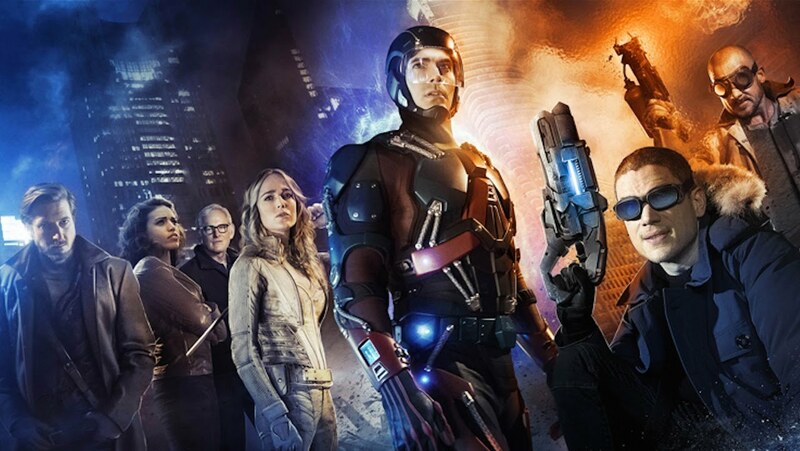 Time-traveling rogue Rip Hunter must assemble a disparate group of both heroes and villains to confront an unstoppable threat to the planet…and to time itself. 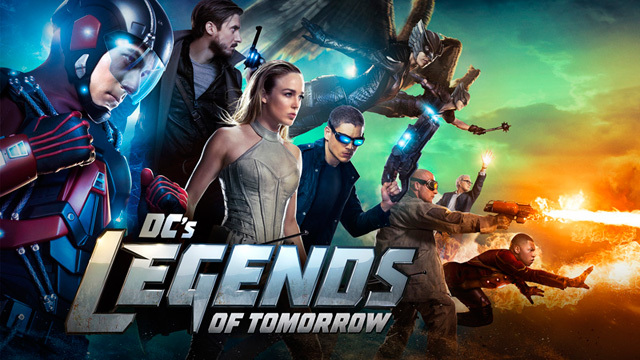 DC's Legends of Tomorrow premieres on The CW on Thursday, January 21 at 8pm EST. So in case you’ve been living under a rock for the last year, Deadpool is hitting the big screens in about a month and we. Are. PSYCHED. Finally our favourite merc gets his own film and this time, unlike his last appaerance in the X-Men film, he gets to SPEAK. Seriously, how can you have “the merc with the mouth” without a mouth?! For anyone out of the loop who needs a Deadpool revision session, here's an infographic with all the facts you need to know about The Crimson Nutcase ahead of the film release on February 10th. Enjoy! Sony Music Masterworks and Broadway Records has released on the original soundtrack of the NBC Television event “The Wiz LIVE!” produced by Harvey Mason Jr. and co-produced by Stephen Oremus. Available now at Amazon, “The Wiz LIVE!” soundtrack features the well-known hits “Ease on Down the Road,” “A Brand New Day” and “Home,” plus the new song “We Got It.” Written by Grammy Award winners, NE-YO, Mason Jr. and Oremus with Elijah Kelley, “We Got It” was performed in the broadcast by cast members NE-YO and Kelley, along with Shanice Williams, David Alan Grier and The Wiz ensemble. “The Wiz LIVE!” soundtrack and the single ‘Home’ performed by Williams are now available via all digital service providers (download and streaming). Broadway Records has produced cast albums for many major Broadway shows (including the Grammy® nominated Matilda The Musical as well as The Visit, Side Show (2014), Doctor Zhivago, Bonnie & Clyde, Big Fish and more) and NBC’s television event, Peter Pan Live!. Broadway Records also created the critically acclaimed "Live at 54 BELOW" album series featuring top Broadway stars including Patti LuPone, Aaron Tveit, Norbert Leo Butz, Micky Dolenz, Sierra Boggess, Laura Benanti, Marin Mazzie, Annaleigh Ashford and many others. www.broadwayrecords.com. One lucky winner will receive a I Love You To The Moon and Back Necklace ($39.99 RV)! Contest is open to US residents only,18+ (ends February 14, 2016 at 11:59pm EST). All entries unless otherwise noted are optional. Please enter the giveaway form below. The winner will be emailed and have 48 hours to respond or a new winner will be chosen. Good luck! Disclosure: Bloggers in this giveaway were not compensated and are not responsible for prize fulfillment. Lil' Blog and More will be sending the prize out.. This giveaway is not affiliated with Facebook, Pinterest, or Twitter.